The Vandoren Traditional Soprano Saxophone reeds feature the thinnest tip with the thickest heart, resulting in crisp articulation with a full, dark sound. 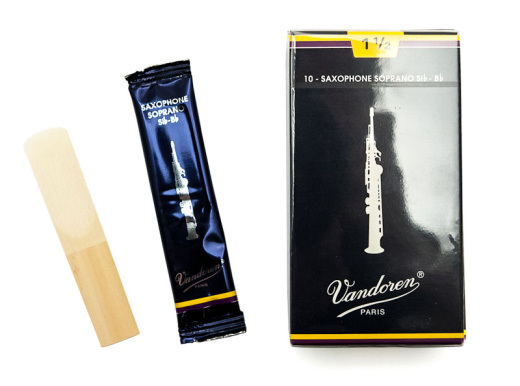 The Traditional box are the standard by which we judge all else and are amongst the most popular reeds worldwide, preferred by classical players and students (although suitable for any style). Filed Cut.